Art Project Los Angeles, an exclusive art auction and VIP cocktail event benefiting AIDS Project Los Angeles (APLA), will return to international auctioneers and appraisers Bonhams from June 29 through July 1. The three-day event will offer a dazzling array of art up for bid, along with a star-studded, red-carpet cocktail party on Saturday evening, June 30. The third annual event is known for featuring works by artists including Picasso, Warhol, Haring, Basquiat, and many more, along with a range of pieces from emerging artists. The Saturday evening reception, which will include a live auction, is expected to draw celebrity attendees including Helena Bonham Carter, Kathy Griffin, Wynona Judd, Shirley MacLaine, Ross Matthews, Alfred Molina, Pauley Perrette, Sidney and Joanna Poitier, Denise Richards, RuPaul, Jane Seymour, and Alfre Woodard – all of whom are members of the event’s high-profile Entertainment Host Committee. The committee is co-chaired by Jackie Collins and Barry Krost. The silent auction will be open to the public during the day on Friday and Saturday, and guests will be invited to bid on hundreds of artworks displayed throughout the famed auction house, including pieces by this year’s featured artist, Los Angeles-based photographer Michael Becker. Auction items will range from photography and paintings to furniture, sculpture, multimedia, and other unique displays. 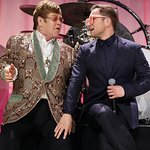 Beginning June 19, additional artwork and experiences will be up for auction online to an international bidder base at leading charity auction house Charitybuzz.com with proceeds to benefit AIDS Project Los Angeles. Beginning at 6:00 P.M. on Saturday evening, the event will transform into a ticketed, VIP cocktail party featuring stars on the red carpet, a fast-paced live auction, hosted food and drink, a live DJ set, and even an on-site photo booth for guests to capture their experience. Art Project Los Angeles is sponsored by Bonhams and Hamilton-Selway Fine Art Gallery. Proceeds from the event will help support the lifesaving care and prevention programs of AIDS Project Los Angeles (APLA). Individual tickets to Saturday evening’s event are available at apla.org/artproject. AIDS Project Los Angeles, one of the largest non-profit AIDS service organizations in the United States, provides bilingual direct services, prevention education and leadership on HIV/AIDS-related policy and legislation. With more than 25 years of service, APLA is a community-based, volunteer-supported organization with local, national and global reach. For more information, visit apla.org.